Ubisoft has some good news for The Division‘s Season Pass holders – news that ought to offset frustration at the shooter’s extensive maintenance period that took place today, May 12. Due to last roughly three hours give or take, the downtime began earlier this morning at 09:00 AM CEST/03:00 AM EDT/00:00 AM PDT, meaning by the time you’re reading this, post-pandemic New York will have swung open its gates to players once more. 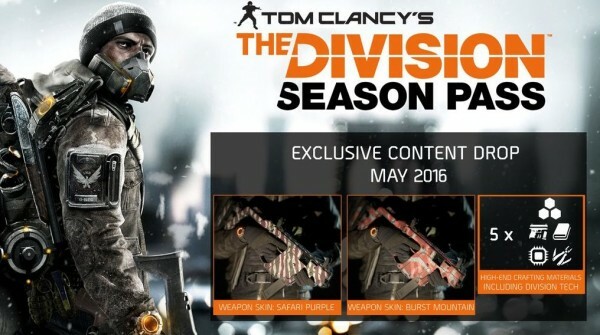 Season Pass holders will be able to download the May freebies right off the bat, too, which include new weapon skins and crafting items. The content is currently available across all platforms, so now that the maintenance has come to and end – and should you be a Season Pass holder, of course – fire up The Division and nab your monthly in-game perks.